This Scope of Work Template pack includes 1 MS Word Template (20 pages) and 2 MS Excel templates including a Work Breakdown Structure and Risk Log. 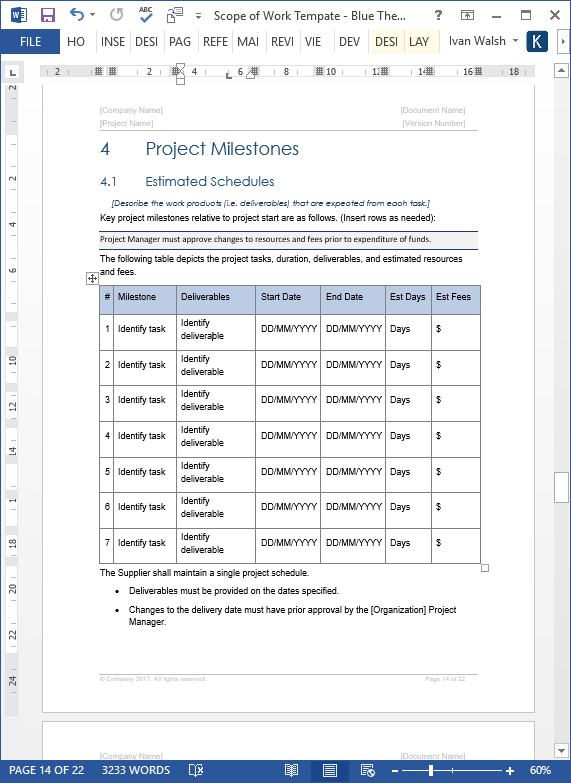 You can use these templates to create Scope of Work documents for your next project. The templates are created in Microsoft Word (.docx) and Excel (.xlsx) and can be easily modified to suit your requirements. These templates help Project Managers ensure effective scope management throughout the life of your project. 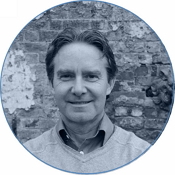 The SOW templates will help you write the Scope of Work to plan the entire scope management process for your project. It includes sample material in Microsoft Word and Excel files to get you started and make writing the documents that bit easier. This template helps define all processes and work required to complete your project, including justification, work products, deliverables, objectives, assumptions, and limitations. 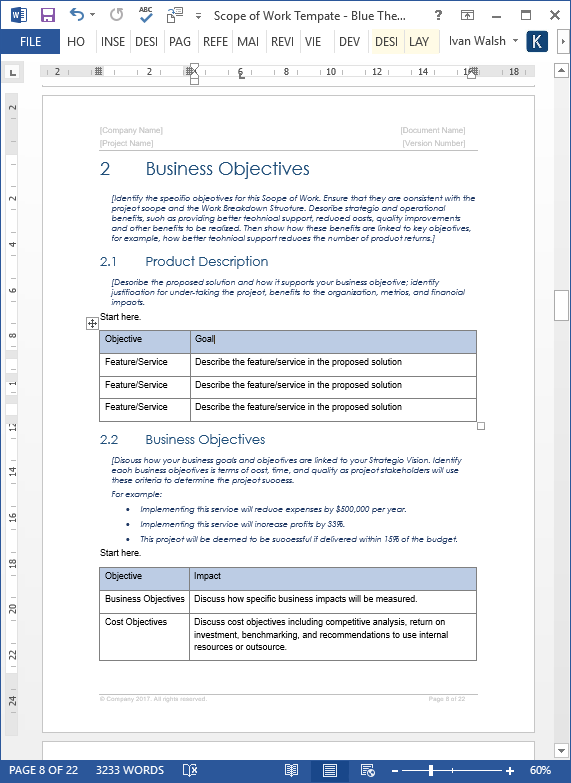 This Scope of Word Template (aka Scope Management Plan) will help you to start planning your next project and the Free Work Breakdown Structure template will help you track all action items, tasks and deliverables. The Scope of Word Template (MS Word, 20 pages) contains the following chapters. 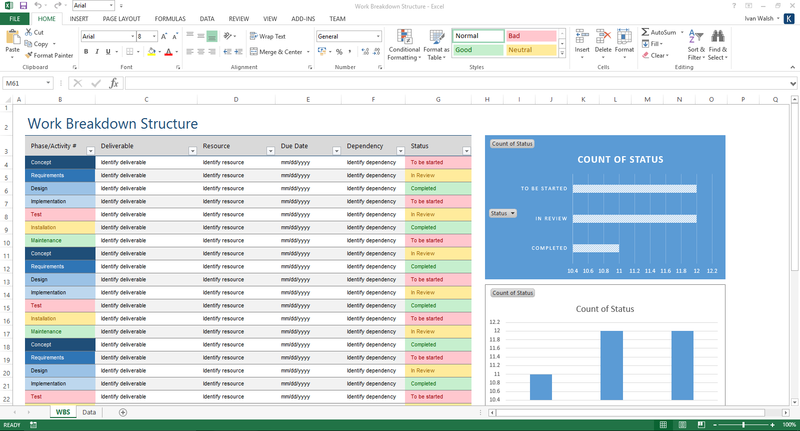 This template pack also includes two free MS Excel spreadsheets to help control the project. These are a very detailed Work Breakdown Structure (with sample data) and the Risk Log. This Scope of Work Template pack includes 1 MS Word Template (20 pages), 2 MS Excel templates and a Risk Log.